Now that social media has finally made it to the grand stage of accountability, it is now in a place where a lot of people want to measure it. Unfortunately, there isn’t a clear-cut answer, since different business scenarios require different social media approaches. However, with just a few simple steps, you can build a measurement strategy that works for your business and will accomplish your goals in an efficient manner. The first question to ask yourself is this: “How many people can you reach with your message?”. In the world of social media, knowing your potential audience has tremendous value, as it determines your potential sales lead pool. Unfortunately, in order to provide efficient results, some of these metrics have to be accounted for manually. The key to executing this? Balancing the level of effort to track the metrics versus the value you’ll receive from them to determine their importance to your overall strategy. An example of where unreliability can take hold in the metrics process consists of isolating unique users for each of your metrics, and specifically, avoid counting the same person twice. Twitter: In order to determine your monthly potential reach, look at the number of followers for those who retweeted your message. By tracking these separately and then comparing the month-over-month growth rate of each of these metrics, you can determine where you’re seeing the most growth. There are many great, free tools one can use to measure this. Facebook: The easiest and most efficient way to identify your potential monthly Facebook reach is to track the total number of fans on your brand page, review the number of friends from those who became fans during a specified period of time or during a promotion, and keep track of those who commented on or liked your posts. YouTube: Measuring the number of views for videos tied to a promotion or specific period of time, such as monthly, and the total number of subscribers. Email: When it comes to email, keep track of how many people are on your mailing list as well as how many people actually received the email. Twitter: Identifying your level of consumer engagement can be easily calculated by checking to see the number of times your links were clicked, how many times your message was retweeted, and how often your hashtag was used and then look at how many people were responsible for the activity. Facebook: Determine the number of times your links were clicked and your messages were liked or commented on, then break this down by how many total people were engaged in these activities. You can also track wall posts and private messages if you can link them to activity that is directly tied to a specific social media campaign, such as a hashtag. YouTube: Assess the number of comments on your video, the number of times it was rated, the number of times it was shared, and the number of new subscribers. Blog: Evaluate the number of comments, the number of subscribers generated and finally the number of times the posts were shared and which platforms they were shared on. Email: Calculate how many people opened, clicked, and shared your email. Include where the items were shared, similar to the point above. Also, keep track of the number of new subscriptions generated. 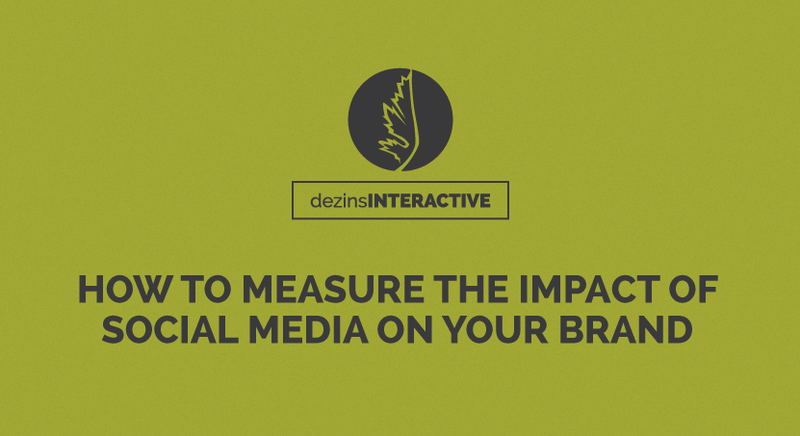 Measuring influence for your social media performance can be a bit of a soft space, as it is a subjective metric that relies solely on what your company is specifically looking to get out of social media. Basically, you want to determine whether your social media performance is producing positive, neutral, or negative results. You can use automated tools such as Klout and Little Bird, but whatever program you might use, measuring influence on social media always requires a manual check to validate your results, as a personal approach goes a longer way for this than any program can. Influence can be generally summed up as a percentage of positive, neutral, and negative sentiment that a consumer might feel towards your brand. A great application can simply consist of seeing and hearing what your consumers have to say and organizing their responses into the above categories. Measuring the results of your social media exposure, influence, and engagement are the three main categories of measuring your brand awareness; which is where all measurements of social media performance should start before moving forward. But too many companies start their measurements in the final measurement aspect: the lead generation. At this point in the social media measurement process, the brand awareness portion ends and the ROI-driven action begins. In order to understand your social media presence and impact, you must first identify and understand your reach, engagement, and influence across the board. But now that you’ve tracked all of this information, how do you make it meaningful? Excel can be a great tool to organize your data, such as building yourself a standard dashboard that highlights key metrics that are considered the highest priority for your organization. Paid programs such as Hootsuite and Sprout Social can help you organize and schedule your posts in a timely and efficient manner, while also generating performance reports for you in the process. Effective social media can leverage your business to new heights by simply creating more consumer engagement for your company than ever before, but because social media business models vary from industry to industry, it requires patience, time, dedication, and thorough research in order to execute it properly. The day and age of social media that we live in is truly amazing, all you need are the right tools paired with the right mindset to make your business grow.